A Ghanaian Pharmacist, Prof. Kwasi Adomako Ohemeng has led an optimization team to successfully develop Omadacycline, an antibiotic. He was recruited from another global pharmaceutical giant Bristol Myers Squibb (BMS) to help the company fast track the process of development. A statement issued and copied to GNA said Omadacycline was discovered under US Patent number 7,056,902 assigned to Paratek Pharmaceuticals, a US based Biotech Company. It took seventeen years (17years) between discovery, clinical test and approvals to get the product finally approved. The US Food and Drugs Administration (FDA) has granted approval for the use of Omadacycline for the treatment of adults with community acquired bacterial pneumonia (CABP) and Acute skin and skin structure infections (ABSSSI). The once daily Intravenous (IV) and oral antibiotic is a modern tetracycline that has the activity against broad spectrum of bacteria including drug resistant strains of gram positive and gram negative bacteria. Omadacycline is the first-in-class aminomethylcycline, which can overcome antibiotic resistant bacteria in two main ways, by ribosomal protection and efinx group. The once daily intravenous (IV) and oral antibiotic is a product assigned to Paratek. It offers clinicians the opportunity to treat patients intravenously and the transition to oral administration which can reduce hospitalization and cost associated with hospital admission. The FDA decision to approve the drug for the approved indications was based on a multiple clinical trials that assessed the efficacy and safety of the drug in a total of three (3) phase trails that evaluated the drug in 2150 participants. Omadacycline is also being evaluated for the treatment of urinary tract infections. 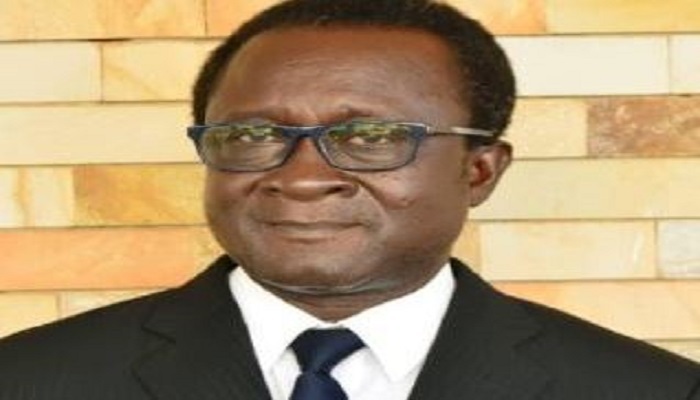 Born in Oyoko in the Eastern Region, Prof. Ohemeng is an industrial pharmacist, a product of Kwame Nkrumah University of Science and Technology (KNUST) in 1978. He obtained his Ph.D. in Medicinal Chemistry in 1984 from the Duquesne University Pittsburgh, Pennsylvania. He was awarded the Burroughs Wellcome Fellowship to undertake a post-Doctoral appointment in the University of North Carolina. He has over 30 years’ experience working with several major drug manufacturing companies in the US rising to the position of Principal Pharmaceutical Scientist at Johnson and Johnson, then to a group leader at Bristol Myers and Squibb (BMS). He was recruited by Paratek Pharmaceuticals, Boston U.S.A as the executive director of medicinal chemistry where he successfully helped the discovery of three molecules, including Omadacycline. He returned to Ghana in 2006 and founded Equatorial Healthcare Services Ltd with the main objective of producing products for the prevention and treatment of Tropical African Diseases. His areas of focus are Healthcare, Agriculture and Cosmetics. He has currently produced full range hospital disinfectants. The only Ghanaian local manufacturing company producing organic Pyrethrin based Agro Chemicals and Cosmetics suited for the African. He has over fifty (50) patents and eighty five (85) scientific publications. He is the current Dean of the School of Pharmacy of Central University College. He is married to Mrs. Abena Kunadu Ohemeng with three children.